Dexter Daily: Latest Spin-off News! 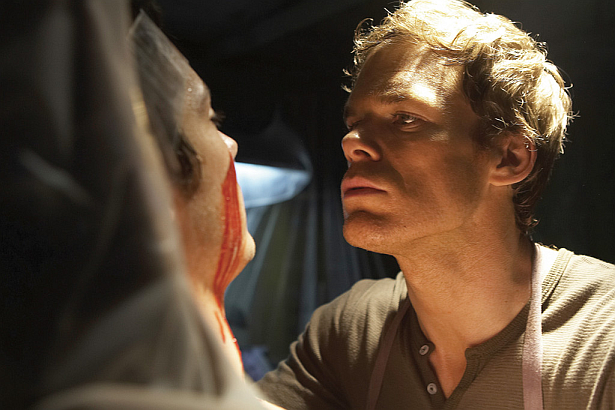 Michael C. Hall Reveals He Would Reprise His Dexter Role! Latest Spin-off News! Michael C. Hall Reveals He Would Reprise His Dexter Role! Breaking huge Dexter spin-off news!! According to Huffington Post, Michael C. Hall won't rule out a return to playing Dexter. But he'd want to see the finish line. "'Masuka!' I would watch that," he joked, referring to the show's humorous forensics specialist Vince Masuka, played by C.S. Lee. More seriously, Hall said of a possible spin-off series, "I can't even wrap my mind around that. And it's all just theoretical until there is some sort of script reflecting somebody's idea of where it could possibly go. But it's hard for me to imagine what that would be." Hall, also won't rule out returning TV more generally. "Yeah, as far as playing Dexter again for an undefined amount of time, that's a little daunting to consider. But doing another television series — there's a lot of amazing stuff on TV. I don't want to do that right away. But I wouldn't say never to that."